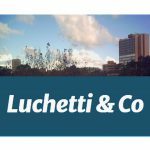 Luchetti & Co Solicitors is a friendly firm with personal service and reasonable fees and two main practice areas, conveyancing and wills & estates. We consider ourselves to be straightforward and plain-speaking. We have been in North Sydney since 1953, when the firm was founded by Marilyn Luchetti’s father, W.H. Luchetti. Solicitor Marilyn Luchetti handles the conveyancing and she acts for first-home buyers and people looking to transfer property to family members. We provide quoted prices for conveyancing and if something about the conveyance gets complicated you have ready access to professional legal advice. Our experience in conveyancing encompasses all types of property, including residential and commercial. We can draft and inspect contracts of sale, and carry out all the usual checks. We will assist will-makers (“testators”) and recipients under wills (“beneficiaries”) in all legal matters relating to wills, including probate and estate administration, If there are doubts about the testator’s ability to make their last will, we can bring or defend actions regarding testamentary capacity. Should a dependant or family member feel they have unfairly excluded from the will, we can also deal with Family Provisions Act claims. Much of what is needed for a will is best communicated via email so that we get the correct spelling of names and addresses. So send us an email as a first step in this process.